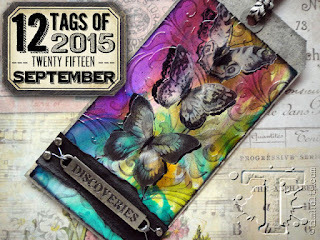 Here is Tim's Tag for September 2015.
to make this GORGEOUS tag. 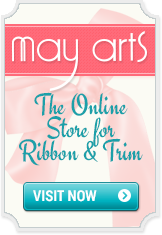 I was so pleased to see all the color in this month's tag. Does this mean we will have a vibrant Fall???? (with only a few changes...LOL). 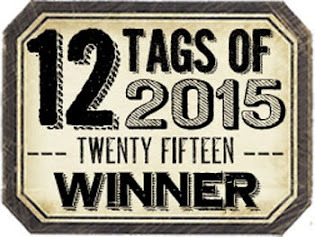 only 3...YES...3 more tags to make for this year. tags that I wanted to make. I have made six extra tags. I am happy that I have been able to stick to my commitment. It has really brought me a lot of pleasure. (Wish I was better about that in some other areas of my life, ha, ha). I really LOVE how it catches the light and shines. like they are under water! fly right off the tag. Such a fun effect. I made 3 changes to my tag...I added some Gold Glimmer Mist. white twine and I used the word "SOUVENIR." 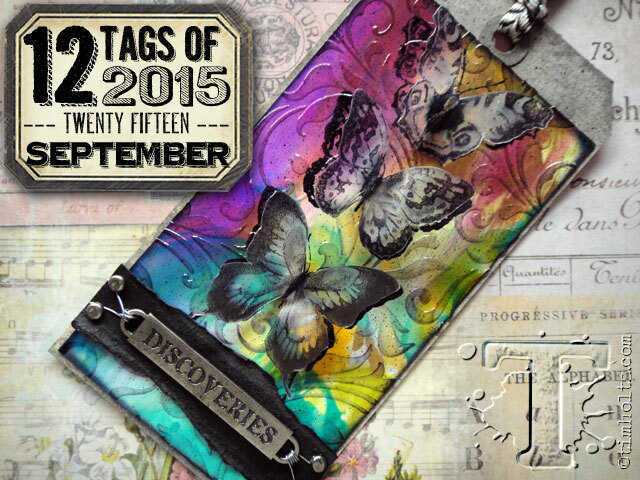 This tag is my "SOUVENIR" for the month of September! leave a little "SCRAPPY LOVE!"